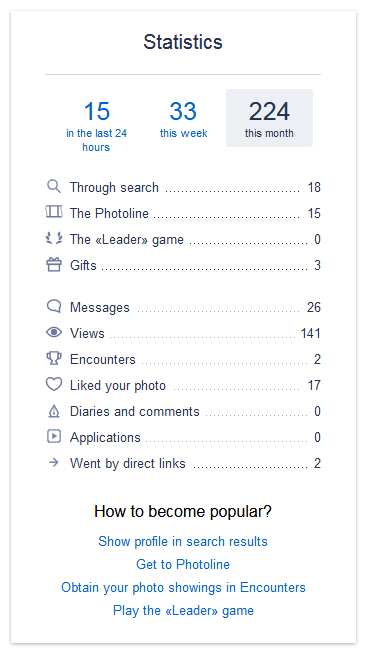 The Personal statistics feature can give users insight into their activity and overall attractiveness of their profile. It is possible to let the person know where their profile attracted the most attention from. It can be the search results, and it may prompt them to highlight or lift their profile up in the search. It can be the carousel of featured members, or the list of the most active site members, which will be the incentive to stay on this list, and so on. It may also make sense to show which search parameters led to the person being found. 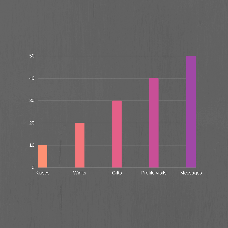 What are the average age and other characteristics of other site members who view their profile the most? Perhaps it will lead to them changing some details in the profiles like acceptable age range of a potential partner, and so on. Number of likes and views per photo/audio/video file is also a nice indicator. It may prompt the user to upload more content to your dating website. The Profile doctor feature might also be the right fit here. The list can be expanded to include even the tiniest details. We are open to your suggestions here and will gladly hear your thoughts and comments.